WUG Dren 15 units. 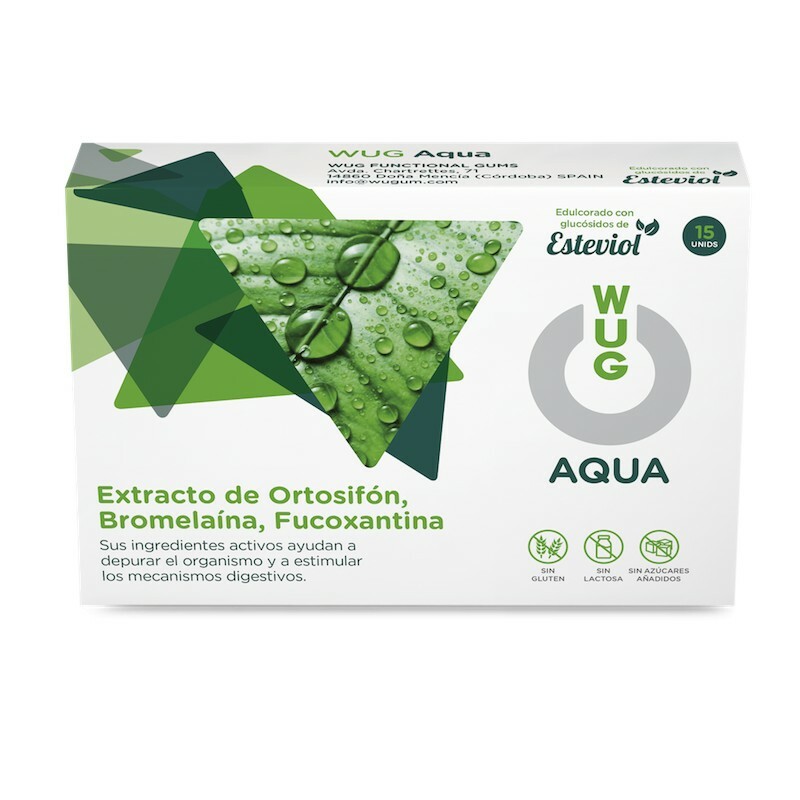 - WUG Functional Gums S.L. > WUG HEALTH>WUG Dren 15 units. 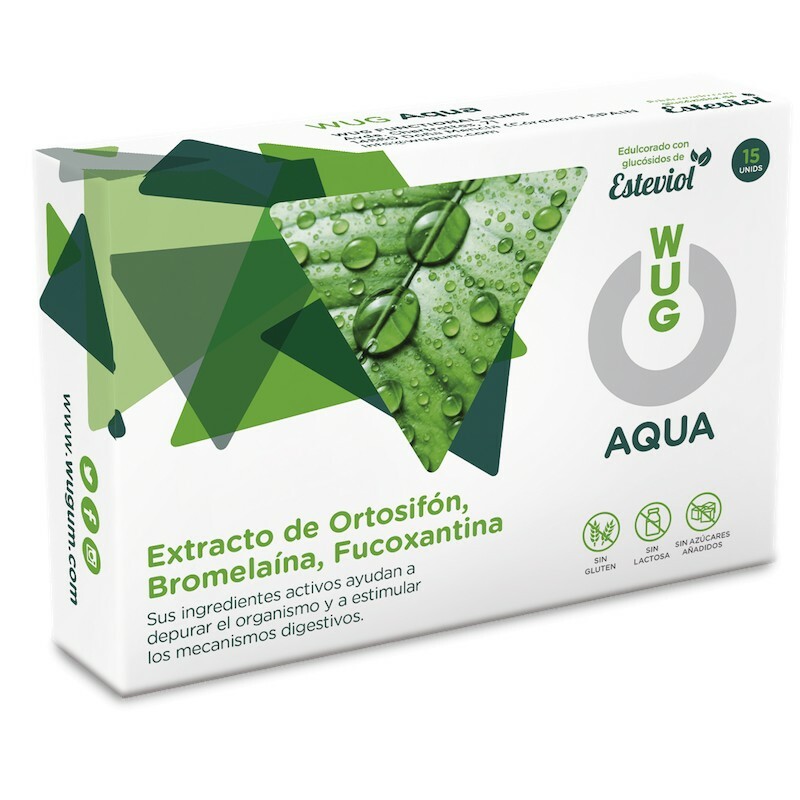 Food supplement made from Extracts of Plants, Enzymes of natural origin and Wakame Extract rich in Fucoxanthin. 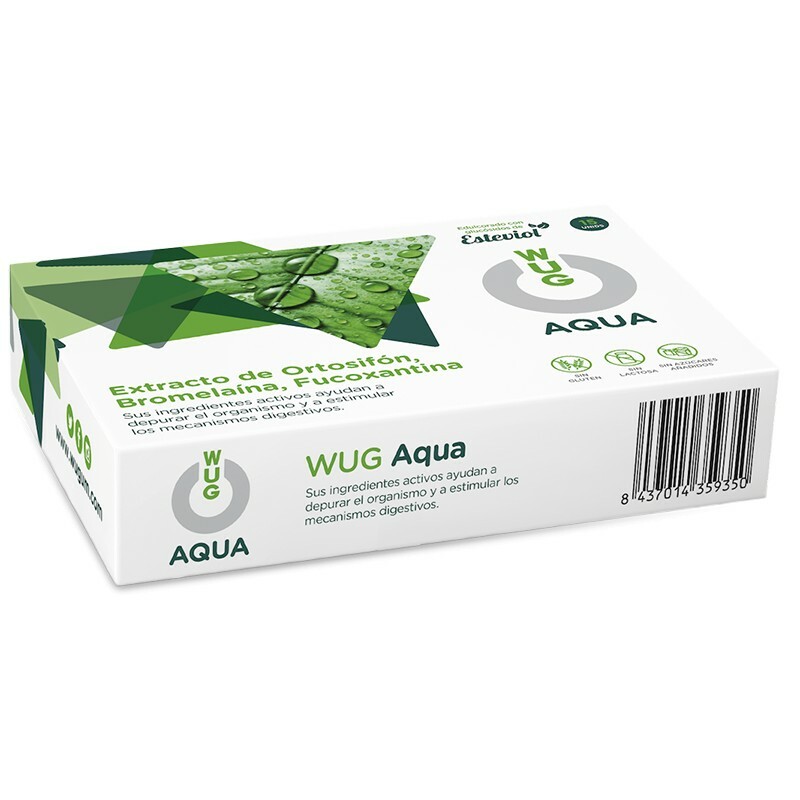 WUG Aqua is made from natural plants, it does not need water or digestion, it can be taken anywhere and only weighs 2 grams. You can find it in packs of 15 units. 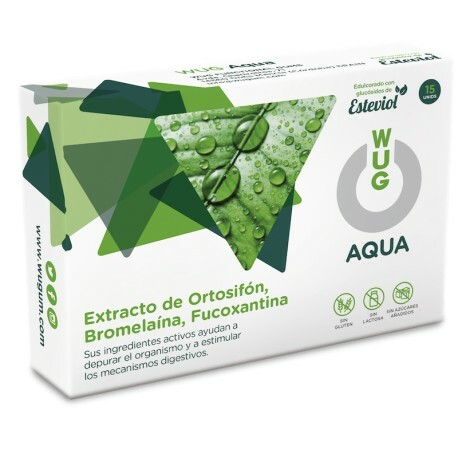 Food supplement made from plant extracts, naturally occurring enzymes and Wakame extract rich in Fucoxanthin. Fluid retention is a common problem in people of both sexes and can cause discomfort, in aaddition to an increase in volume and size. It can be caused by hormonal changes but also by poor eating habits and physical inactivity. Also known as Java tea. Its leaves are rich in flavonoids, polyphenols, essential oils and potassium. It has diuretic effects. It is a natural carotenoid found in seaweed like wakame and hijiki. Scientific work of a team of researchers from the University of Hokkaido (Japan) showed that fucoxanthin is very effective to accelerate the metabolism of fats. Bromelain is a collection of protein-digesting enzymes found in pineapple juice and stem of the pineapple plant. It has an anti-inflammatory effect and can help improve various digestive symptoms because it turns out to be an enzyme that helps break down food during digestion phase. It is recommended to chew 1 gum 1 hour before the main meals, lunch and dinner. For people over 80 kg, we recommend to take 2 gums. Water intake may potentiate the satiating effect of its active ingredients. Do not take more than 5 gums a day. The effects may be different depending on each individual, depending on their weight, age, or health status. *The effects may be different depending on each individual, depending on their weight, age, or health status.